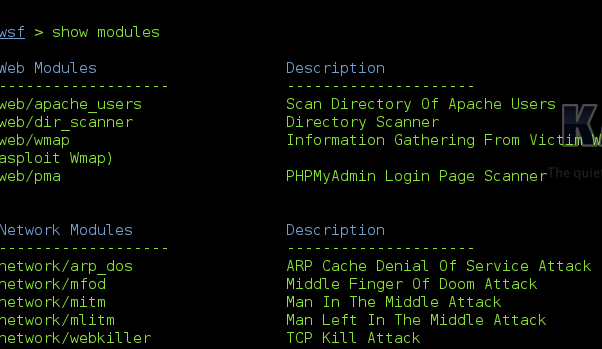 Websploit is an automatic vulnerability assessment, web crawler and exploiter tool. It is an open source command line utility that composed on modular structure. At the time of writing, there are 16 modules are available on Websploit, it can be downloaded from sourceforge project website but it is available on Kali Linux by default.